A while ago, I had a run-in with a particularly nasty woman on a forum over attitudes to copyright issues. If I remember correctly, and of course, I do, because her attitude PISSED ME OFF, she ran a food blog and fancied herself quite the photographer. It all blew out of nothing, as these things do. I mentioned that I never really minded the odd photo being lifted off my blog, and that I’d noticed a couple of pictures had appeared on some Japanese blog that I couldn’t understand, but which looked harmless enough. Nothing for me to get worked up about, and hardly as if some MegaCorporation had nicked my photo to advertise their planet-destroying product. Caused quite the ruckus, that did, which ended in my new friend being reduced to calling me out for using British English spellings, ‘cos the United States rules the Internet, right? This was all a few years ago, before things like tumblr, Posterous, Pinterest and the like rolled into view, with their ‘share anything all the time’ attitude. Back then, I really didn’t give a stuff about my own copyright. I had the odd decent photo, ones that made it onto Foodgawker, Tastespotting, et al, and I’d even managed to sell a few on iStock, but nowhere near often enough to even call it a hobby with benefits. I didn’t lift other people’s photography, but I always felt ambivalent towards them lifting mine, as long as I got a link out of it, and when I didn’t I just shrugged my shoulders and did something else. I still don’t care that much. Once those photos are out there, they’re gone. My ownership of them remains in the legal sense and I don’t suppose I’d be overjoyed to see my stuff used commercially, but I’m not naïve enough to expect that people won’t pin, post, share on Facebook, etc, etc, and in a lot of circumstances, I’m very happy to let it go and even encourage it. Life really is too short, especially as I’m a rank amateur. I run another blog alongside this one. It’s a tumblr blog, and it’s just a place to dump the odd photo that I take and think is worth an airing. tumblr photos are reblogged – see, it even has a proper name – all over the place, and my stuff has spread all over the tumblr ecosystem. Same with Pinterest…it’s just a different, more visually focused version of the same thing…a digital scrapbook. And what are the benefits? I’ve seen definite spikes in traffic when somebody has picked up on a picture from here and reblogged it on tumblr or Posterous or some other place that encourages that sort of thing. Recently, the spikes have come from Pinterest, and tomorrow, it’ll be something different. Difficult ethical and legal question, that. And I can’t answer it. 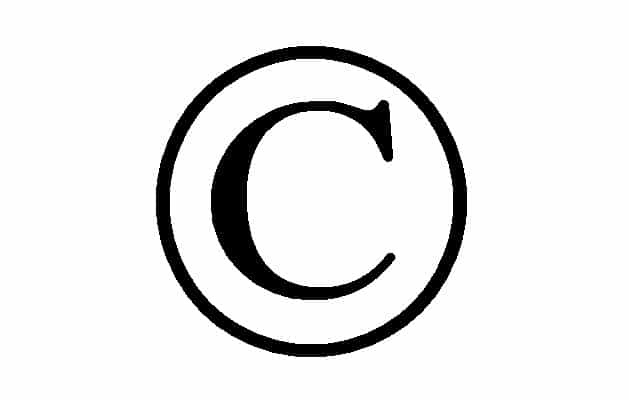 The law provides for fair use, which might cover the odd reblog of a picture on a non-commercial blog adequately, but the copyright holder could still object, and some definitely will. The legalities or not of this are not my main concern. It’s clear that if a copyright holder objects, it’s up to the person who reposted the content to either prove fair use or, more likely, back down, remove it and apologise. My interest is whether or not the copyright holder, the blogger, should object? Should people kick up a fuss when a part of their work gets shared or spread somewhere else on a non-commercial basis, or should they just accept that that’s the way the world works now? The Internet is a fluid place, and it’s becoming even more fluid. Those buttons down there at the bottom of this post actively encourage you to share this post, and I’d be delighted if you did. I see it like an quotation…you reblog or repin my photo, make your point, talk about it, and I get an attribution. How can a blog operate without sharing? Isn’t it about just that, about speaking your mind and getting your copy seen and read? There’s a different side to this, and it’d be wrong of me not to acknowledge that I understand how and why people guard their content so carefully, but there is a difference between sharing a picture in the fluid world of social media and wholesale theft of intellectual copyright or its re-use for commercial purposes without permission. The counterpoint to this lies in identifying where the line falls, where fair use or just taking part in a social network stops and copyright theft begins. I don’t believe it’s a hard-line, and I think it shifts and moves depending on the service, but it’s never still. More than anything, it’s clear that the line tends to creep in only one direction – towards more openness. Personally, I’m pretty laid back about it. I in no way think I’m the world’s most brilliant photographer so its a compliment really when people want to pin my pictures or use them in any sort of linked context. But for reasons that, when pressed, I can’t quite explain, it steps over my bounds of comfort when I find, and fortunately I’ve only found two, my pictures being used in another person’s blog to illustrate either my recipe or a recipe that is theirs with no credit let alone linking. I guess because that isn’t fair use – it isn’t fair use to the reader when the blogger illustrates a recipe with a picture of one that isn’t the same and it isn’t fair use to me to see something that I have money and time on pawned off as someone else’s with no credit. Its become important in this blogging world to emphasise on anyone’s blog that credit will be given where credit is due and that the same will be expected of anyone wishing to use material from that blog itself and you can’t really claim naivety of this situation unless you are very, very new to the world and have read read scant few blogs before. Fortunately those situations, for me, were sorted out quickly with polite but firm emails (as is our British way) but I’ve heard of bloggers who really are good photographers to the point of doing it for a living, having their photographs taken from their site, watermarks removed (because it isn’t that hard for anyone who has a moderate editing ability and, if its placed as such, sometimes they just crop it out) and presented as someone else’s and that must be an agonising situation and also that is one where that would be illegal – where they are misrepresenting the work of a person with a professional reputation to uphold. I think you’ve pretty much got right in the post. 99% of people are rational and pretty decent and would agree with you, but there’s always that 1% that there’s no accounting for… At the moment I’d be ecstatic if anybody reposted any of my images (I’m in dire need of a decent camera) but at the end of the day it’s about intention. If it’s obvious that the image is related to the original material then I think that’s fine. If the individual is passing it off as their own work, whether there be money involved or not, that’s dodgy ground and strangely lazy! I think your views are very reasonable and I share them. I do think the line is very clear between acceptable use and copyright infringement. When someone uses my photographs and doesn’t give attribution and a link back to my original post/page – that’s a violation of copyright law. When someone uses my photographs, provides my name (or blog name) plus a link to my site – that’s people enjoying my work and spreading my name which, as you mention, can increase traffic to my own site. How can that possibly be a bad thing? On a different note – I’m embarrassed for my countrywoman calling you out for using British English spellings. I read so many books published in Britain when I was young that I still spell pajamas “pyjamas”. “Pajamas” looks lame. Thanks for that great post..I too love to take pictures (definite amateur) and love to blog so if I get a few good pics I am delighted and have no problem sharing but I do feel it would be nice if I were asked..Just sayin…. I don’t mind people pinning, I don’t mind people using tumblr. But what I definitely do not abide it people reposting my photo and recipe on their own blog and trying to pass it off as their own. I have caught several stinkers trying to do just that with my work and I have reprimanded them in full. I guess what I’m trying to say is, credit where credit’s due. As long as they’ve linked to my stuff, credited me and not tried to pass it off as their own, then I’m happy.